I’ve been in the process of properly documenting my recipes and measuring what I do. I don’t measure unless I have to, I just “eyeball” it. A friend wanted a recipe for something I made one afternoon, on a whim, and so I wrote measurements like “3 heaping handfuls”, “one big pinch”, and “several little handfuls”. She asked if I was secretly and immigrant from the 20’s who once lived in a forest and didn’t know there were proper measurements. Perhaps I am. To be honest, I don’t believe my Great Grandmother Prudence accurately measured her tortilla ingredients. They were never perfectly flat or round, but amazingly delicious. Anyways. By this time last week (Sunday, approx. 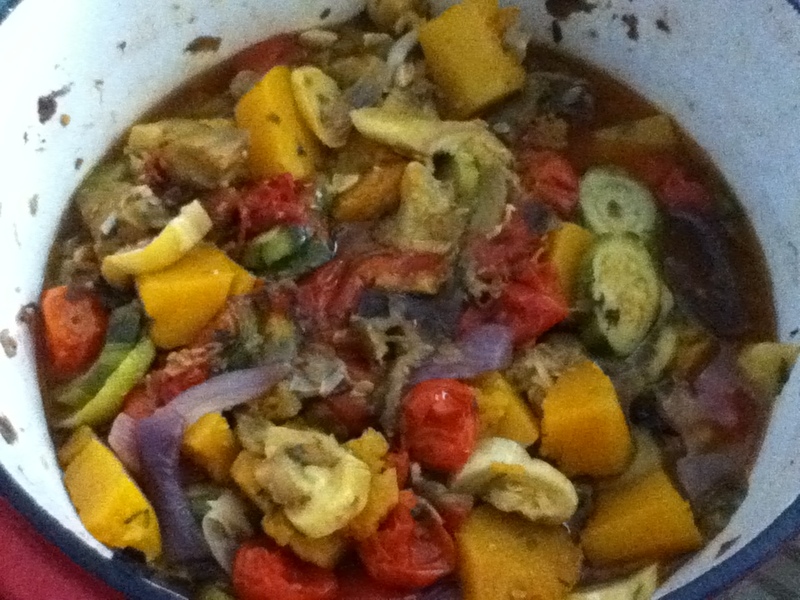 8:30am) I had already made a HUGE pot of Ratatouille. Essentially, I had cut up several small yellow squash, several small courgettes, a butternut squash, one big aubergine, 2 huge red onions, several big tomatoes, and lots of little cherry tomatoes. I coated them in about a 1/2 cup of saffron oil that included 2 heaping handfuls of fresh parsley, a good handful of rosemary, some basil for good measure (I picked the poor plant naked), and lots of garlic (both minced, sliced, and whole cloves). Stick in the oven at 400F for about an hour, maybe 1.5 hours, and you’re set. Since turning veg, Ratatouille (and posole) has become my comfort food meal. It’s my favorite winter meal as well. I have various recipes for the dish, so I will probably have a post simply dedicated to this amazing French dish. This time last week I knew it was going to be hot, I just didn’t know HOW hot. Here, in Philadelphia, it ranged from 98-118F (heat index included). Humidity is at it’s worst in the mornings, I believe, when I’m leaving for work. One morning it was so bad I had actually stopped to take several deep breaths. I’m not sure I ever encountered such humidity before and I only walk 4 blocks from my house to the bus stop! Needless to say, when I got home from church last week I educated myself on the upcoming heat wave… we’re all still waiting for relief. Due to the heat, I haven’t cooked since my big pot of veggies. How did I eat that big pot of deliciousness? I’d stick all my veggies in a wrap and called it dinner/lunch. Several times I had stuck them in the microwave to enjoy them warm while I sat in the frozen tundra (my office). 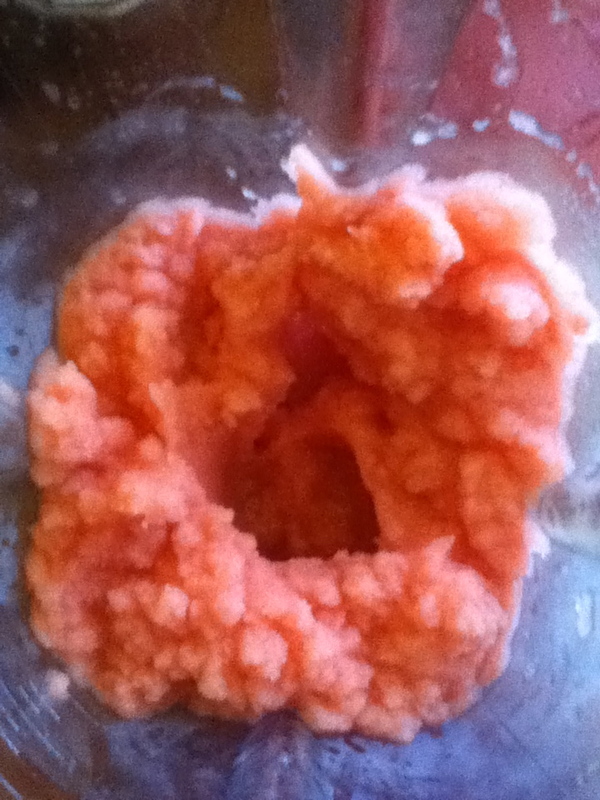 But extremely hot weather calls for delicious frozen treats! 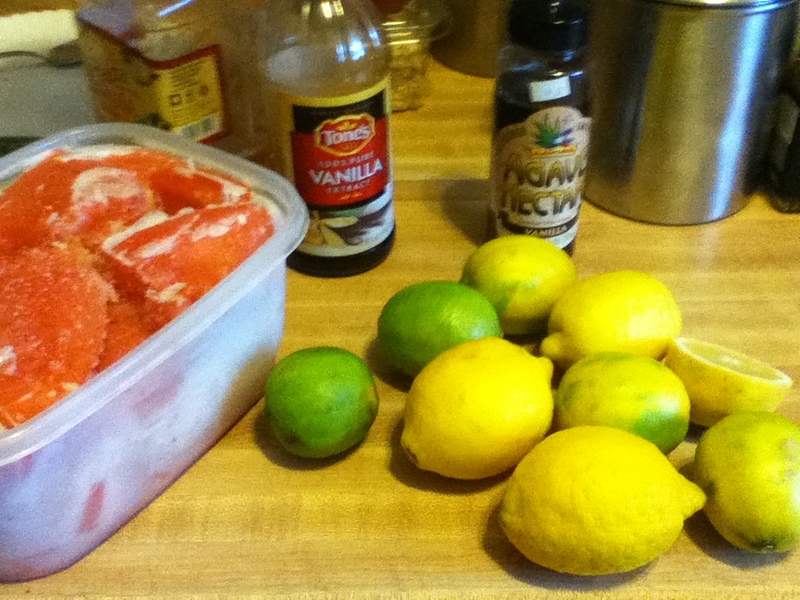 I had lots of cherries to pit and enjoy and lots of watermelon to freeze! 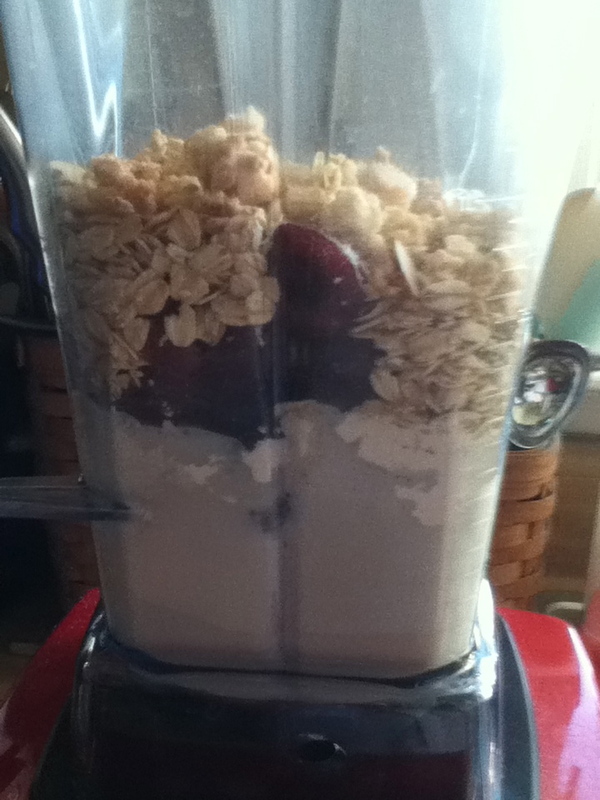 JL mentioned adding rolled oats to your smoothies, which I’ve never done before. It adds thickness and a really nice texture! This makes enough for two. One to share or save for later! This drink I’ve made nearly every night this week. It’s so refreshing! Normally, when I visit my favorite fruit truck for fruit salad I cringe at all the big watermelon pieces they put in there (if I ask for not watermelon, I feel like I’m getting jipped because I get charged extra to replace it with additional ‘more expensive’ fruit, anyways). There are different variations you can do with this… so, get creative! You can also substitute raw sugar instead of agave nectar. I love the sweetness of agave nectar. You may also want to add in some fresh mint leaves, which makes this a really cool and refreshing drink. In that case, only add the juice of 2 limes and 1/4 cup of mint leaves. Since I use a Vitamix I don’t need to chop up my mint, only you can determine whether your mint needs to be chopped or not due to what you’ll use to blend. You can also substitute the mint for basil, YUM! I was so excited to consume this, I apologize for lacking a finished product photo. 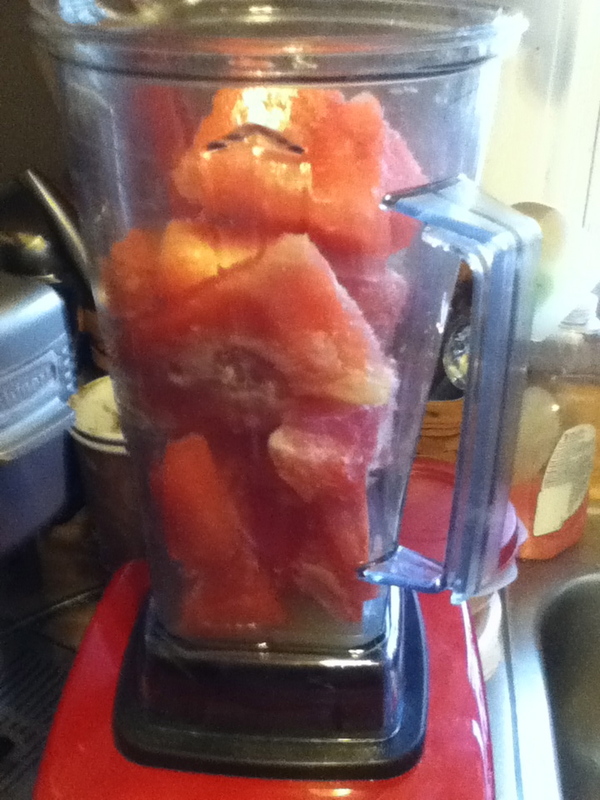 Also, because watermelon is water based (duh) it will melt into a delicious juice drink. SO, you can also prepare this as a nice drink to have for dinner: stick this in a pitcher and refrigerate it until needed, garnish it with mint, basil, or lemon/lime wedges. Next Post promises & kindness.